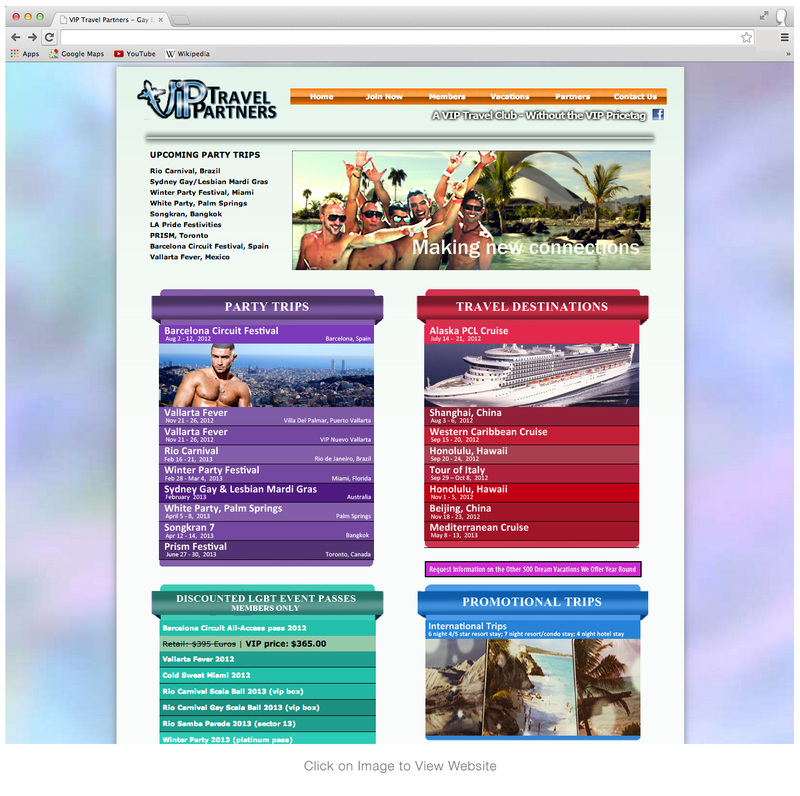 A freelance web design project for a travel website. The website focused on world-wide LGBT party events. This project was a mix of Adobe Dreamweaver and hand-coding.